[Vigor3900] How to block Facebook with URL Content Filter? 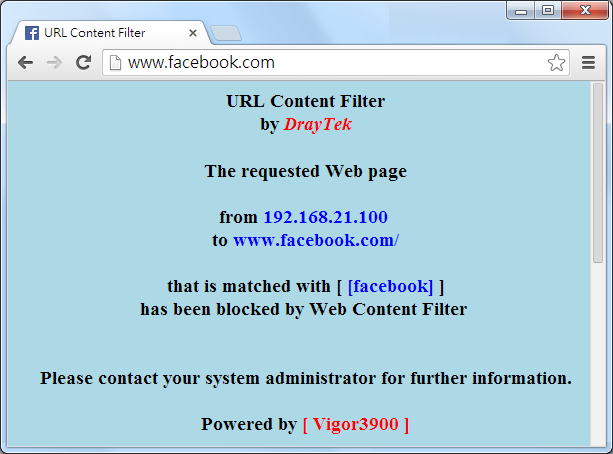 - DrayTek Corp.
[Vigor3900] How to block Facebook with URL Content Filter? In this note, we will demonstrate how to use URL Filter on to block a website on Vigor3900, Vigor2960, or Vigor300B. We will create a URL filter to block Facebook for example. 1. Create a Keyword Object of Facebook page: Go to Object Setting >> Keyword/DNS Object >>Keyword Object, click Add to create a new one. 2. 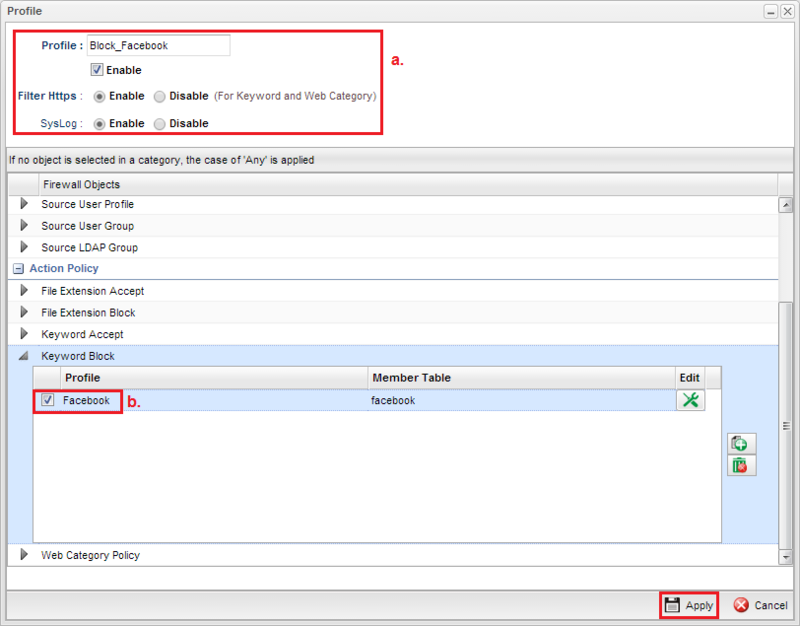 Enter Profile name, enter the URL keyword in Keyword Member, and click Apply. How to block YouTube with HTTPS on Vigo3900 (with LAN DNS)? 7[Vigor3900] How to block Facebook with URL Content Filter? has been viewed------ 7 ------times.